Items purchased from the Archive Sale section are FINAL SALE. Not eligible for return, exchange or store credit. Cannot be combined with other discounts. 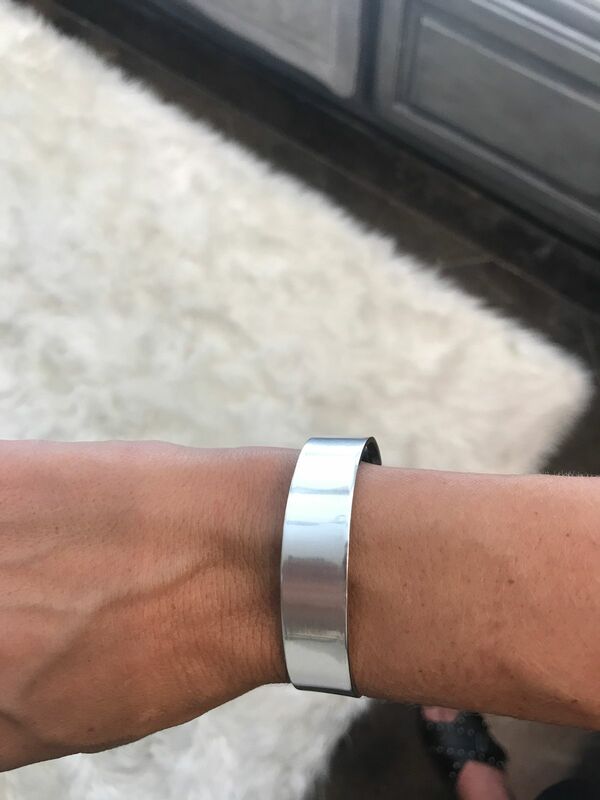 The cuff fits my small wrist well but can shrink or expand to fit any size. It looks great. The leather portion is very stiff, high quality leather and adds a distinctive style element to the cuff. I love it and receive many compliments! Its light and VERY comfortable to wear. Love this bracelet and the way it fits on my wrist! Love all Jenny Bird Jewelry! Shirley C. Reviewed by Shirley C.
I love the bracelet... very light and comfortable to wear, and beautiful!